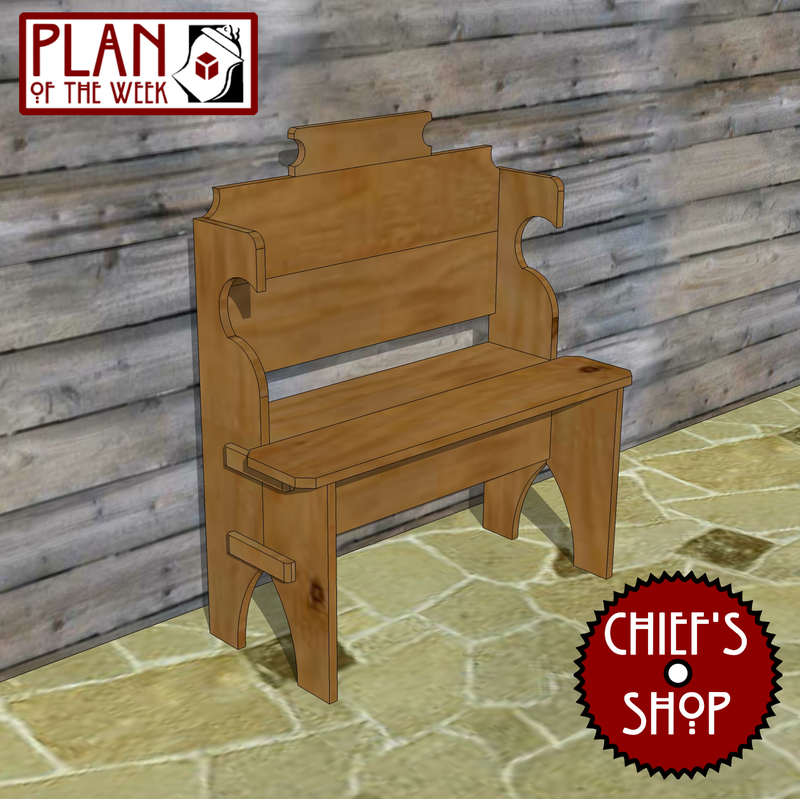 The Chief’s Shop Longhouse Chair has a Viking inspiration and was very popular when it was a Sketch of the Day earlier this year. Assembly requires a Kreg Pocket Hole Jig. You’ll need a table saw or circular saw, miter saw, jig saw, drill driver and Kreg Jig to build it. Click the link below the image to access the plan page and a pdf download. For more free woodworking plans, head over to my Plans page. The Chief’s Shop Kid’s Multi-Stool is designed to be used in four different orientations for children to used as a seat, a table, a stool, a tote or a place to play with toys. Assembly requires a Kreg Pocket Hole Jig. The Chief’s Shop Deck Table is a companion project to the Deck Chair and Deck Side Table. It’s designed as a low table, as it is slightly shorter than standard table height. Assembly requires aKreg Pocket Hole Jig. You’ll need a miter saw, jig saw, drill driver and Kreg Jig to build it. The Chief’s Shop Crawfish Table Stool is a companion project to the Crawfish Table. Assembly requires a Kreg Pocket Hole Jig. I’m posting the top five most popular Plan of the Week for 2015. This Angled Trellis plan is the fifth most popular for 2015. Click on the image to see more Plans of the Week. I’m posting the top five most popular Plan of the Week for 2015. This Decorative Raised Planter plan is the fourth most popular for 2015. Click on the image to see more Plans of the Week. I’m posting the top five most popular Plan of the Week for 2015. 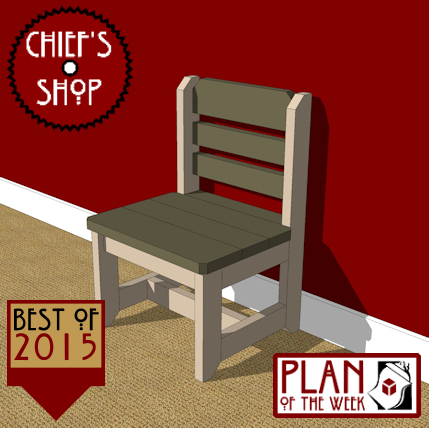 This Simple 2×4 Chair plan is the third most popular for 2015. Click on the image to see more Plans of the Week. I’m posting the top five most popular Plan of the Week for 2015. This Crawfish Table plan is the second most popular for 2015. Click on the image to see more Plans of the Week. I’m posting the top five most popular Plan of the Week for 2015. This Simple 2×4 Desk is the most popular for 2015. Click on the image to see more Plans of the Week.